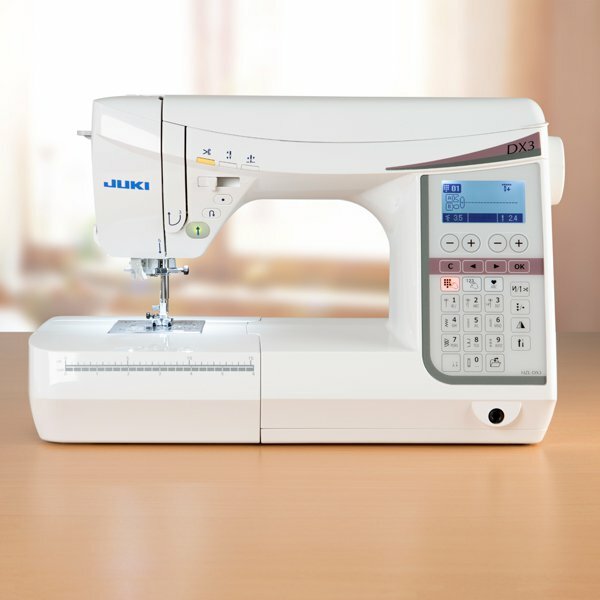 The next generation in JUKI Home Sewing Machines is setting a new standard with 12″ of sewing space, digital tension, JUKI Smart Feed, and interchangeable single needle system. Continuing JUKI’s characteristic of commitment to high performance and functions, the HZL-NX7 Kirei (kee-ray) provides a wide sewing area, touchscreen interface, and a multitude of other functions! The HZL-NX7 was crowned with the name “Kirei” (綺麗) meaning “beautiful”, as a reflection of JUKI’s Japanese heritage. 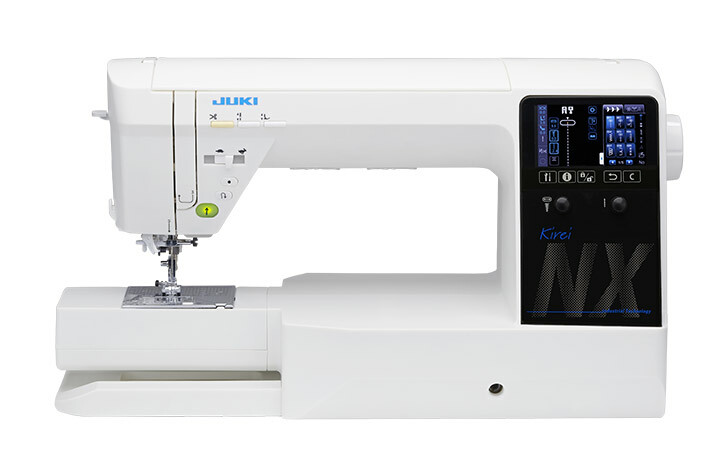 With captivating beauty, Kirei will bring high-quality and reliability to all of your sewing and quilting projects. Beautiful form, beautiful function. Colour Touch Panel: Allows you to change settings such as thread tension, presser foot pressure, pivot function, drop feed system, and automatic thread trimming with one touch. Additionally, you may select, combine, and save your favorite stitches on an easy-to-use, full-screen list of stitches! 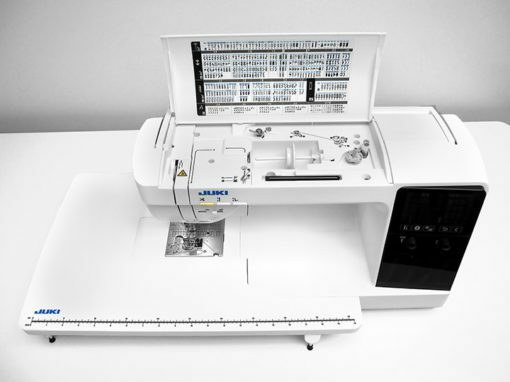 Easy to Use Digital Tension: Needle thread tension can easily be set on the touch panel screen and stored in memory. Recall your favorite tension settings with the touch of a button! Large Illuminated Workspace: Dual LED lighting to illuminate 22.4″ x 13.6″ workspace with an addition of 2 lights over the needle for extra light. Level of brightness can be adjusted. Free Motion: Lower the feed dogs with the touch of a button for smooth and effortless free-motion sewing. 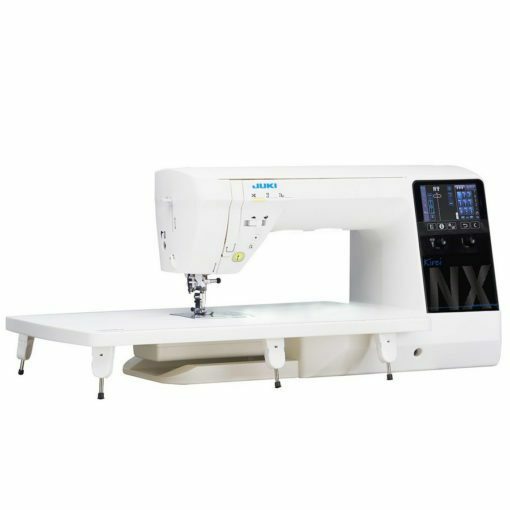 Interchangeable Straight Stitch Feed System: Effortlessly switch to perfect straight stitch sewing with revolutionary interchangeable Feed System. Create perfect stitches from beginning to end. No pulling, bunching, or pushing fabrics into the needle opening. Smooth handling for perfect piecing, close edges, curves, layers, and more. Perfection! Buttonhole Sensor System: With Juki’s combination of industrial and modern technology, this system automatically measures and evenly sews on both the right and left sides to create beautiful buttonholes. 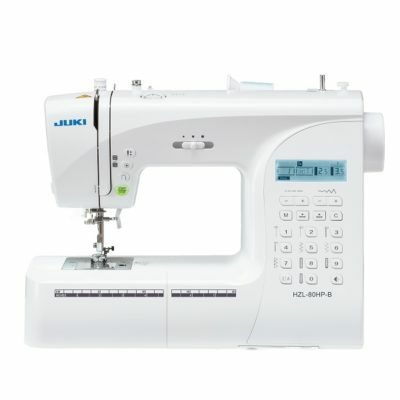 Equipped with JUKI Smart Feed: Engage the JUKI Smart Feed dual feed function to move the top layer of your fabric in sync with the lower layer. 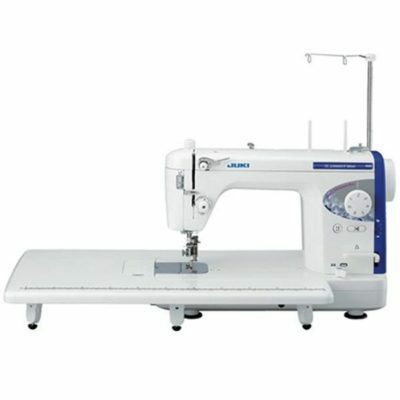 Adjust the feed amount by 0.2mm for beautiful stitching without worry of shifting layered fabrics.